Benelli Legacy 28 gauge, 5.2 pounds, 26-inch, 14.3 LOP, 99 percent - Sportsman's Legacy, Fine firearms, related books and sporting collectibles. Representing estates, collectors and nonprofit conservation organizations. 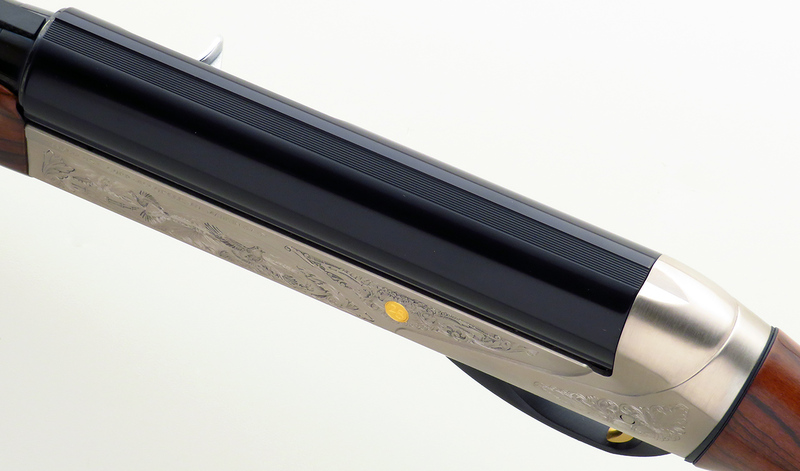 Benelli Legacy 28 gauge with a 26-inch barrel. 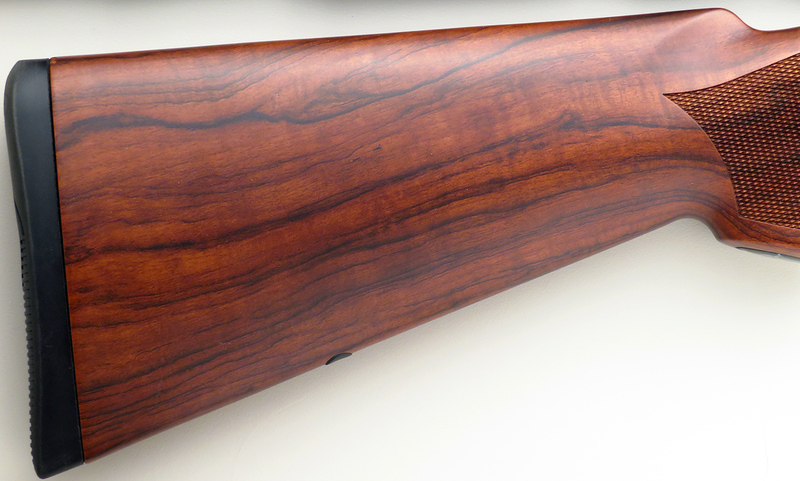 Weighing only 5.2 pounds, features of this wonderful little semi-auto include a ribbed barrel with double bead, a combination of game scene and floral/scroll engraving, two-tone alloy receiver and an AA-grade walnut stock. A single choke tube (F) is included. DIMENSIONS: Length-of-pull is 14.3 inches, drops are 1.25 and 1.75 inches and the stock appears to be absent cast. 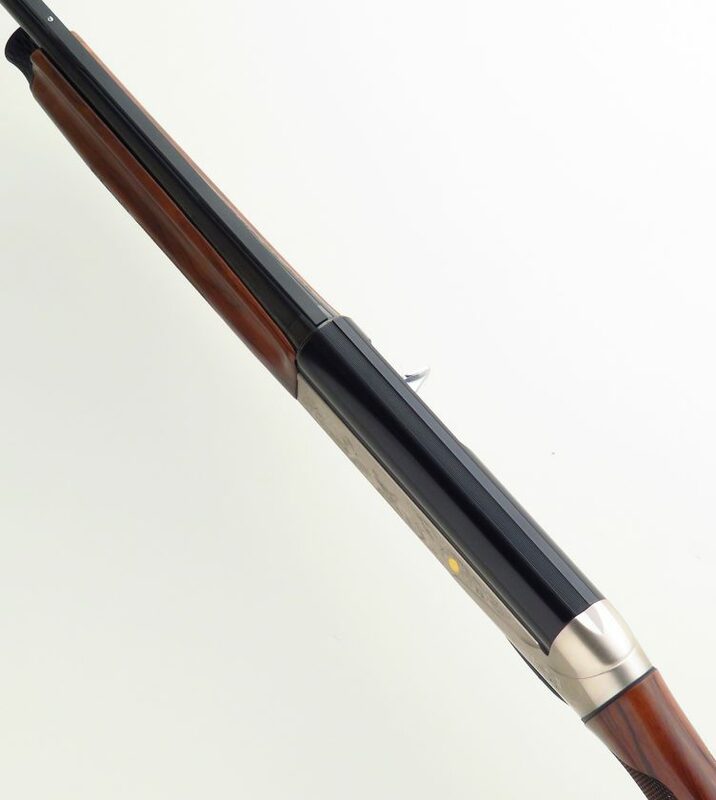 CONDITION: Barrel finish (polished blue) and receiver finish (polished blue over silver) is 99 percent with only slight evidence of handling and range use. Stock finish is also 99 percent, with small indications of rubbing and one minor finish chip at the top of the heel. It appears the stock was factory-drilled for a sling swivel stud along the toe line, the recess then properly plugged with a cap. No box, papers or additional inclusions. The price is firm and layaway is available. $1,750 plus shipping.